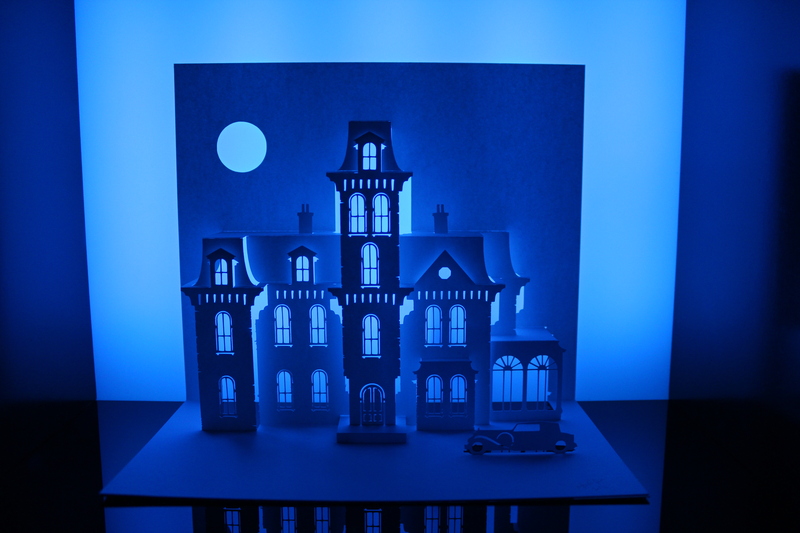 Marc Hagan-Guirey’s Horrorgami certainly seems to be the flavour of the moment with London’s art lovers – if the numbers visiting last Sunday were anything to go by. 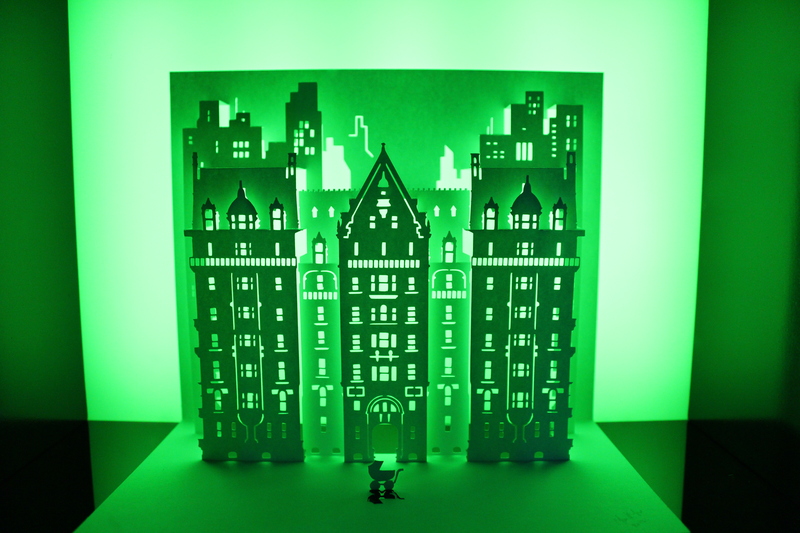 Hagan-Guirey’s own specialist blend of the Japanese art of kirigami (think origami with scissors) with the horror films that were so influential on him as a child – resulting in ‘horrorgami’ – has also generated a unique exhibition featuring intricate paper models of iconic buildings from the genre. 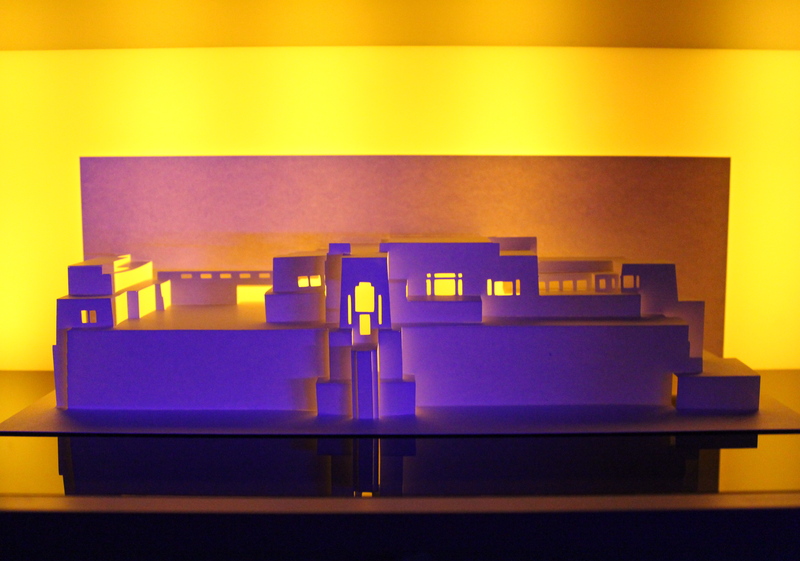 London-based Hagan-Guirey’s first foray into horrorgami occurred when he built a model of Frank Lloyd Wright’s Ennis House as a thank-you gift for a friend who organised a visit to the innovative, concrete Californian house. Ennis House was also the setting for House on Haunted Hill – and when the next model he produced was the Addams Family Mansion, Hagan-Guirey realised he had something of a theme going. 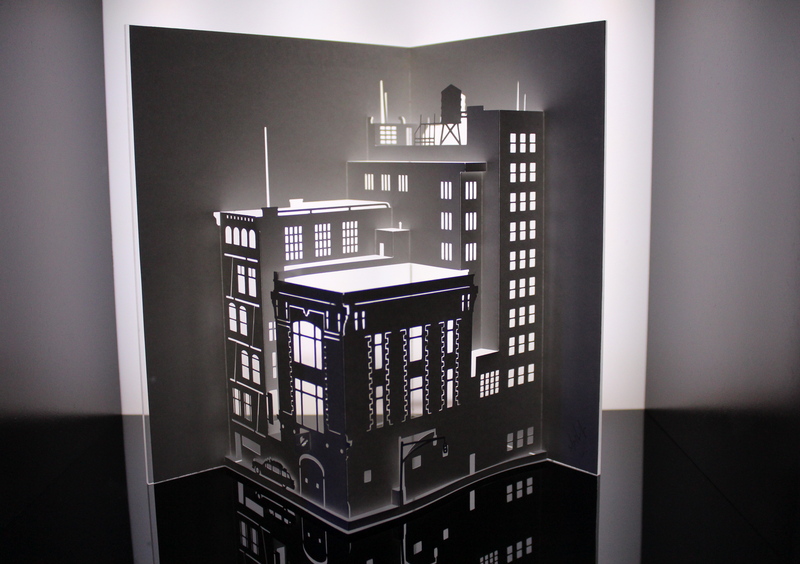 Each of the 13 models in the exhibition are created from a single sheet of white paper. 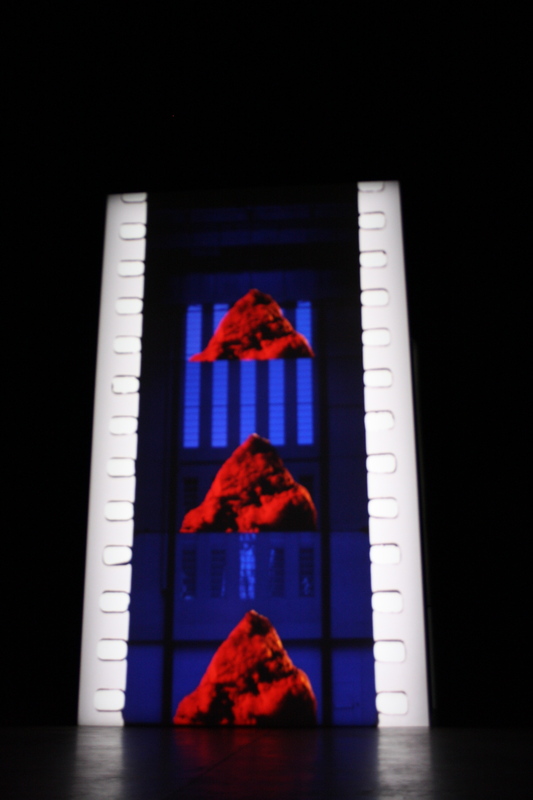 The gallery has presented these in two upstairs rooms, curtained off to create darkness. 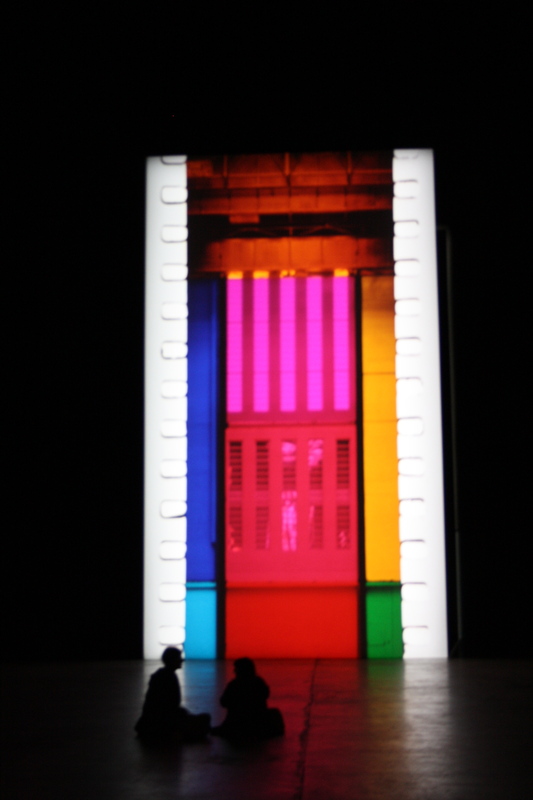 The works are placed in light boxes, with different colours backlighting the models to great effect. 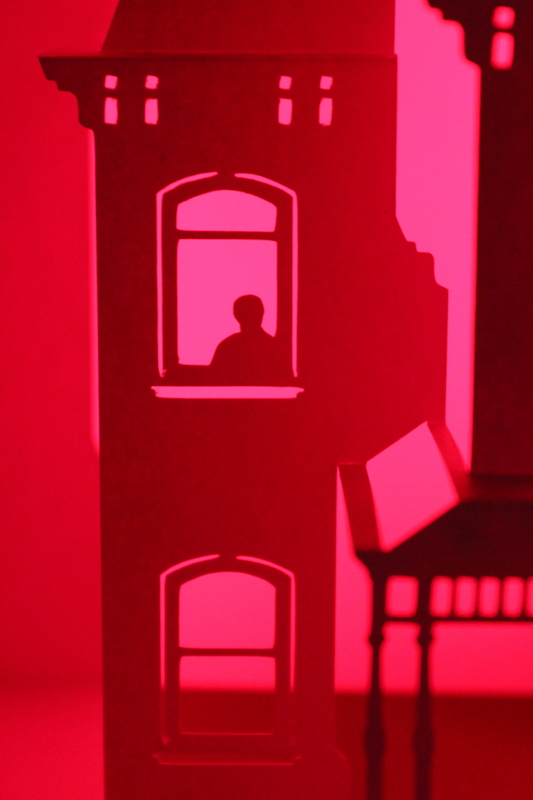 The devil is very much in the detail here – both the intricate nature of the works and the subtle features like the pram placed outside the Dakota Building in the Rosemary’s Baby model, and the figure peering eerily out from a window in the Psycho house. 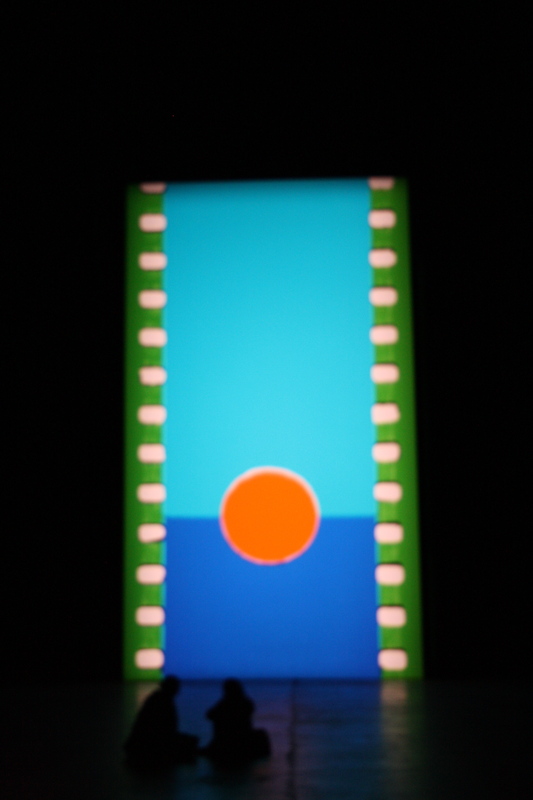 The reflections produced along the base of many of the light boxes are also particularly striking. 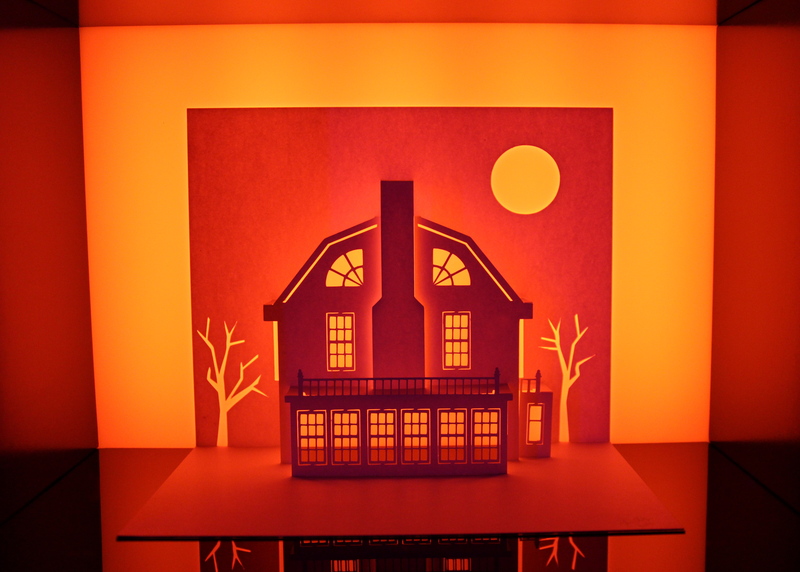 Horrorgami is free and on now until Wednesday 14th November at Gallery One and a Half, Ardleigh Street, N1 4HS. Monday-Friday 10-5, Sat-Sun 11-4. The closest station is Dalston Junction. 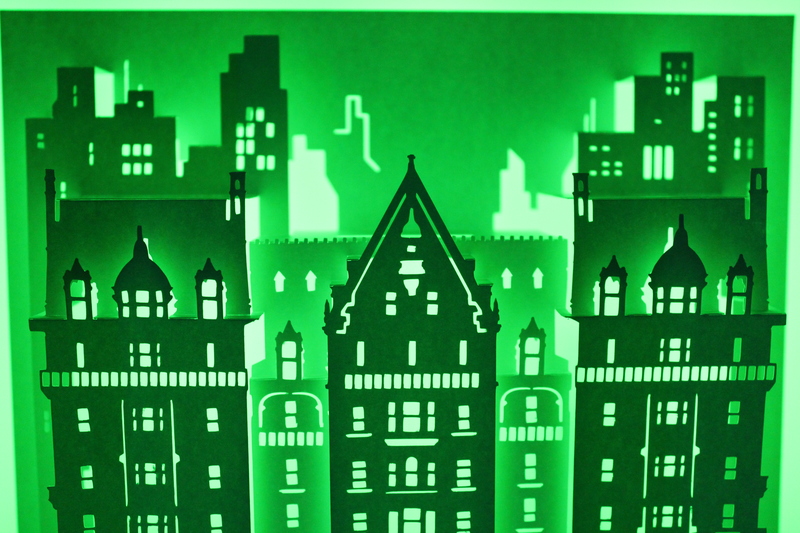 The models pictured here are (from top): Rosemary’s Baby/The Dakota Building, The Addams Family/The Addams Mansion, Psycho/The Bates Residence (detail), Ghostbusters/The Fire Station, The Amityville Horror/112 Ocean Avenue, House on Haunted Hill/Ennis House, Rosemary’s Baby/The Dakota Building (detail).